"I Love You Phillip Morris" is the improbable but true story of a spectacularly charismatic conman's journey from small-town businessman to flamboyant white-collar criminal, who repeatedly finds himself in trouble with the law and on the lam, brilliantly escaping from the Texas prison system on four separate occasions - all in the name of love. Steven Russell (Jim Carrey) leads a seemingly average life - an organ player in the local church, happily married to Debbie (Leslie Mann), and a member of the local police force. That is until he has a severe car accident that leads him to the ultimate epiphany: he's gay and he's going to live life to the fullest - even if he has to break the law to do it. Taking on an extravagant lifestyle, Steven turns to cons and fraud to make ends meet and is eventually sent to the State Penitentiary where he meets the love of his life, a sensitive, soft-spoken man named Phillip Morris (Ewan McGregor). His devotion to freeing Phillip from jail and building the perfect life together prompts him to attempt (and often succeed at) one impossible con after another. 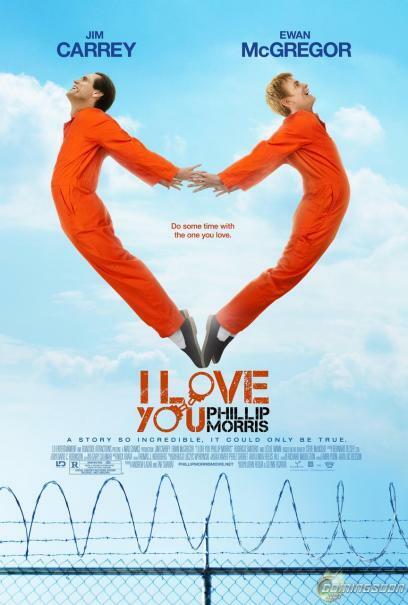 Told with an uncanny sense of humor and a lot of heart, "I Love You Phillip Morris" is an oddball tale of what can happen when the legal system, a daredevil spirit and undying love collide. 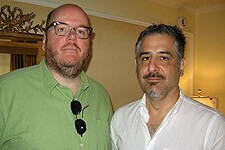 Exclusive: The Directors of Crazy, Stupid, Love.